Earl's Organic Produce: Sourcing organic for 30 yrs! Earl's Organic Produce is an all-organic produce handler and a long-time sponsor of the EcoFarm Conference. 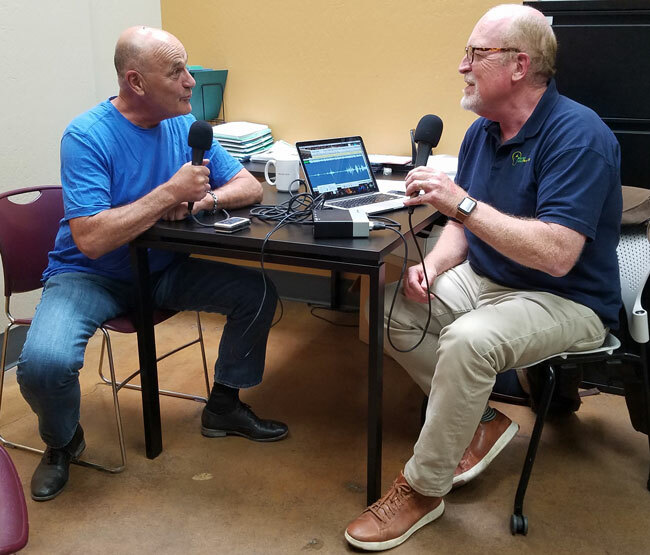 Rodger Wasson of Farm to Table Talk along with two EcoFarm staff members journeyed over to Earl's warehouse to learn about their operation and the reasons why Earl sends over 30 of his employees (himself included) to the EcoFarm Conference every year. "It [EcoFarm Conference] sparks...a passion...and continues to re-affirm why I am in this industry." "The seminars are incredible...It [EcoFarm] is incredibly diverse and is continually broadening its stretch into what's possible." Join Earl's Organic Produce at the 38th annual EcoFarm Conference, January 24-27, 2018. Registration opens Monday, October 30 at www.eco-farm.org. 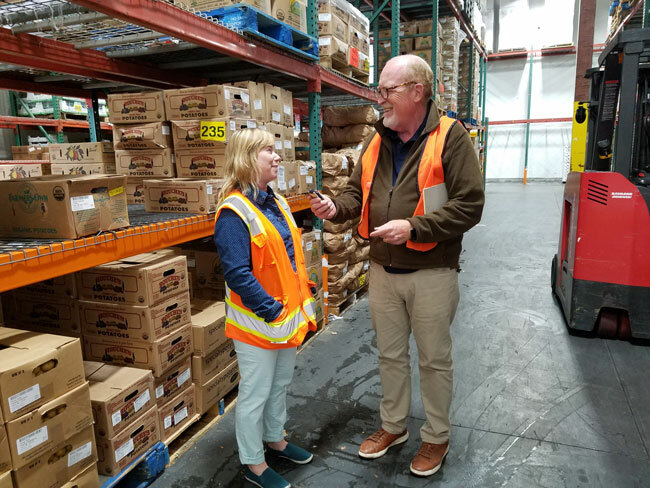 1st photo: Susan Simitz of Earl's Organic leading us on a tour of the warehouse. Susan is super knowledgeable about all things produce. 2nd photo: Earl Herrick of Earl's Organic Produce being interviewed by Rodger Wasson of Farm to Table Talk.